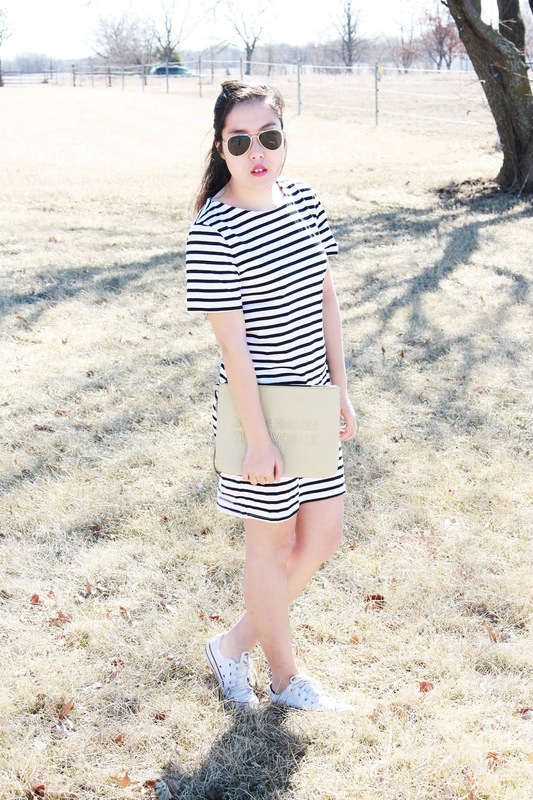 Well here's another outfit post where I'm wearing something striped. Not surprised are we? 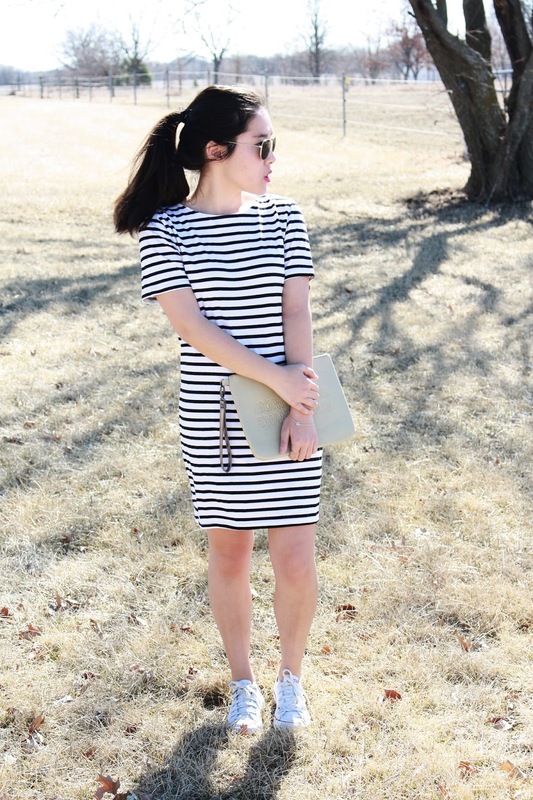 My obsession with stripes most definitely continues into the warmer months and honestly don't be shocked if I wear stripes everyday. It's been beaaaautiful these past few days and honestly I think spring might be here. 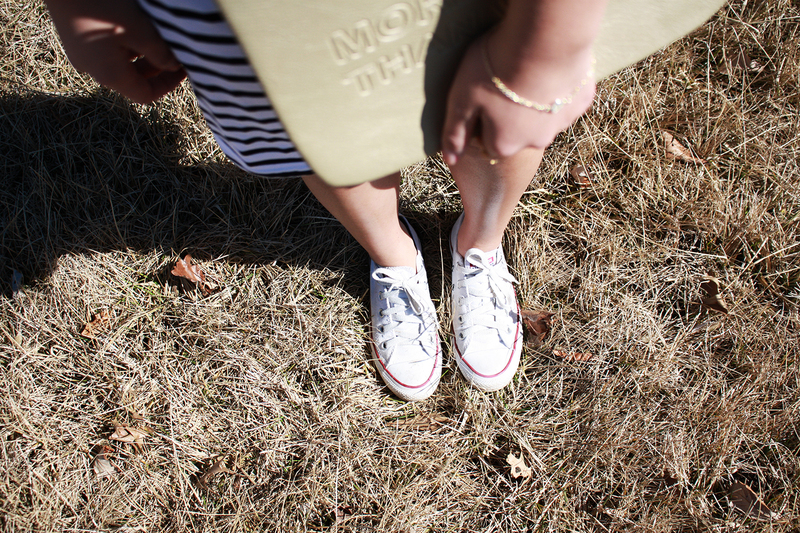 *knock on wood* With the temps being in the high 60s I've busted out all my dresses and sandals and couldn't be happier. So today I'm sharing an easy, peasy lemon squeezee outfit that's huge on chicness and big on comfort. 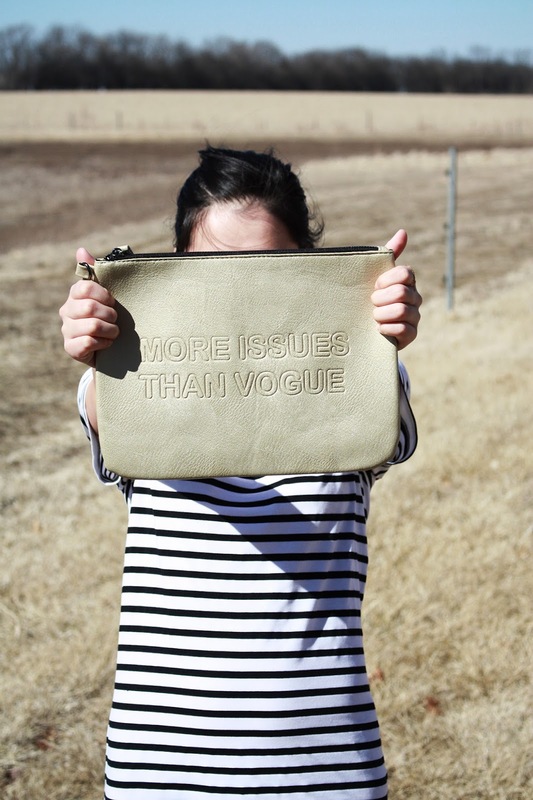 First of all, how much do we love this pouch?! I found it at Marshall's and scooped it up faster than you could say "Vogue". I think it's such a fun statement piece and the gold color is just an added bonus. It also fits my iPad Mini which is great. 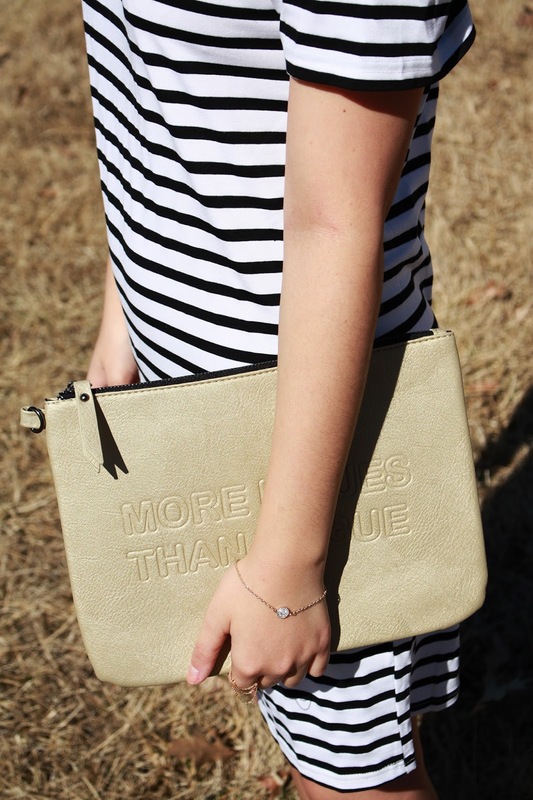 It's definitely a multipurpose pouch! 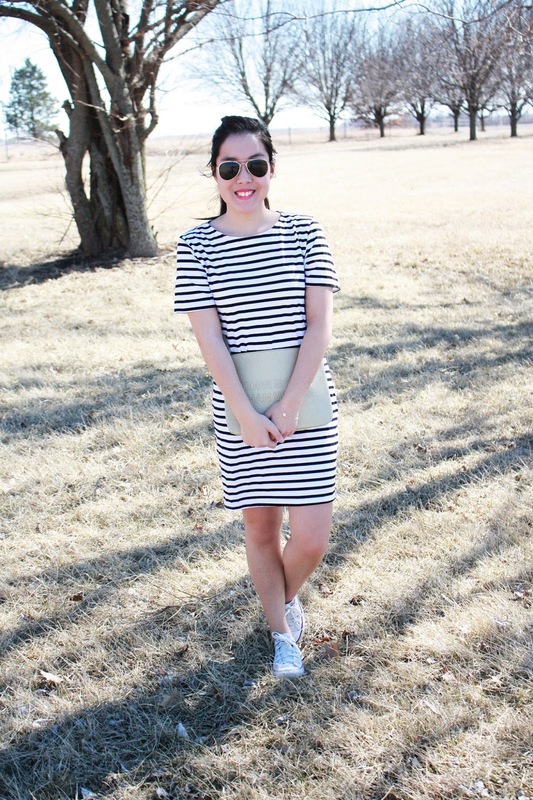 The dress which I'm obsessed with and will be wearing a ton this season is from SheInside. This was my first time ordering from there and I was very pleased. The prices were incredible, the shipping fast and the quality far exceeded what I was expecting. Only downside is that their sizing runs on the smaller side. Other than that I love it! I will be ordering from there more. 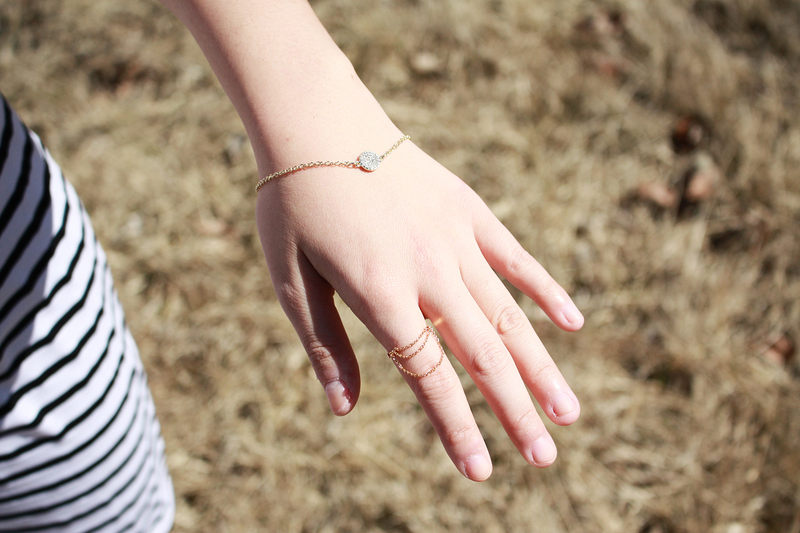 This is the first time I've worn a ring or bracelet in my outfit photos. I'm just not big into this kinda jewelry but it came in my Rocksbox for the month (check out the post and how you can score a month free!) and I loved the pieces! They were the perfect final touch to the outfit. Overall I love this outfit. 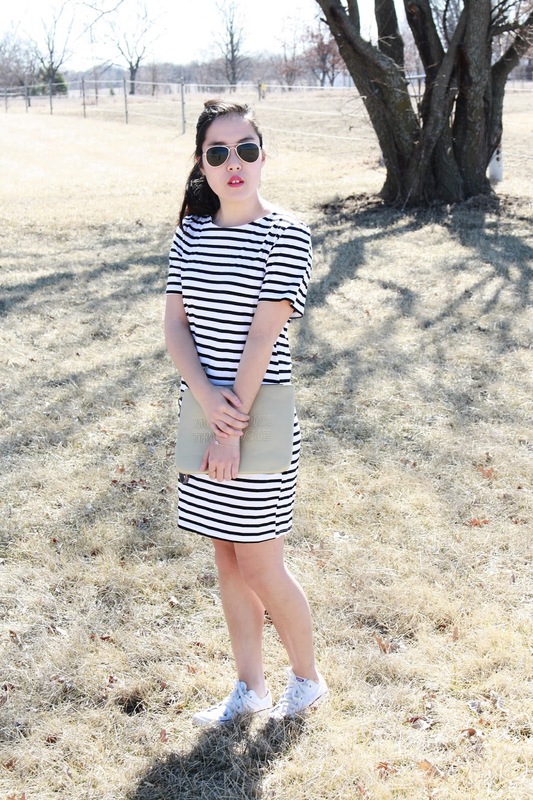 The striped dress is polished for running errands or going out with friends. 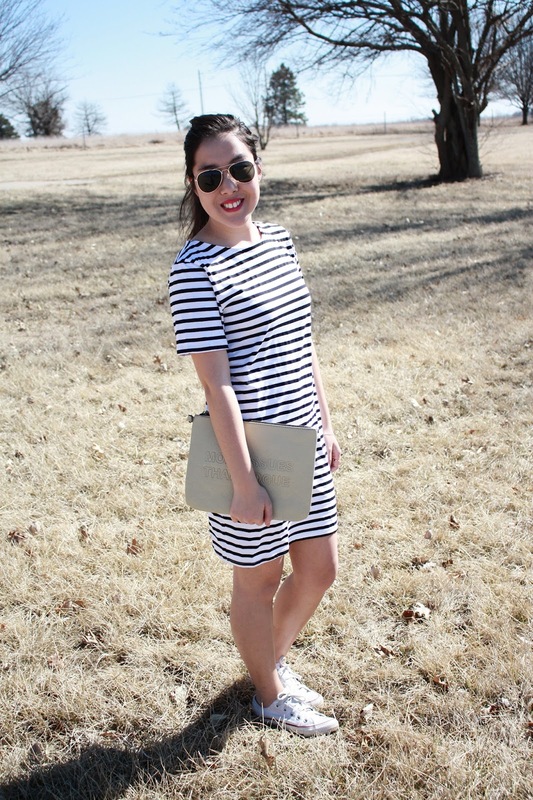 I think every girl should have striped dress (or two or three....) in their wardrobe. They're such functional pieces that have endless possibilities! If you're looking for one I'd highly recommend this one! "the only reason i wear stripes is because i secretly want to be a zebra"